This is one of those weeks that food becomes unimportant (shocker, I know.) My mind if swirling with the end of the semester, concerts, finals, and the musical. I’m in and out the door faster than my poor dog can even catch me. I eat random things (like last night, I ate granola, dry, for dinner.) While I’m excited that school is coming to an end, I think I’m more excited to be able to spend quality time in the kitchen again. The CSA season is in full swing (I picked a great haul yesterday) and all I want to do is daydream on ways to use it. Alas, my head is in music, music, and more music. Until the light bulb kicked on- why not have both. While I’m a sucker for dipping my spring rolls in a delicious sauce, sometimes I like something that is concise with minimal utensils required. By adding the sauce in to the spring roll, these make for the perfect on-the-go meal or delicious appetizer for a party. No fuss, just delicious. Just a couple words of advice. Use rice noodles and not rice. Rice would cause things to go everywhere while the noodles help hold everything together. Second piece of advice, really chop the swiss chard. Nothing is more awkward when you are doing the “slurping spaghetti” move with a piece of green covered in spicy peanut sauce! In a bowl, whisk together ingredients for sauce, tasting and adding more of anything you may want. If you like it mild, add less red chiles (1/4 teaspoon) and if you like it hot, add more! Set aside. In a large skillet, heat olive oil over medium heat. Add in onion and cook until onion is fragrant, 2-3 minutes. De-stem Swiss Chard,roughly chop, and add it to the onion, along with the sauce. Stir to coat swiss chard and let cook until swiss chard just begins to wilt. Remove from heat and set aside. Cook brown rice noodles according to package while veggies are cooking. 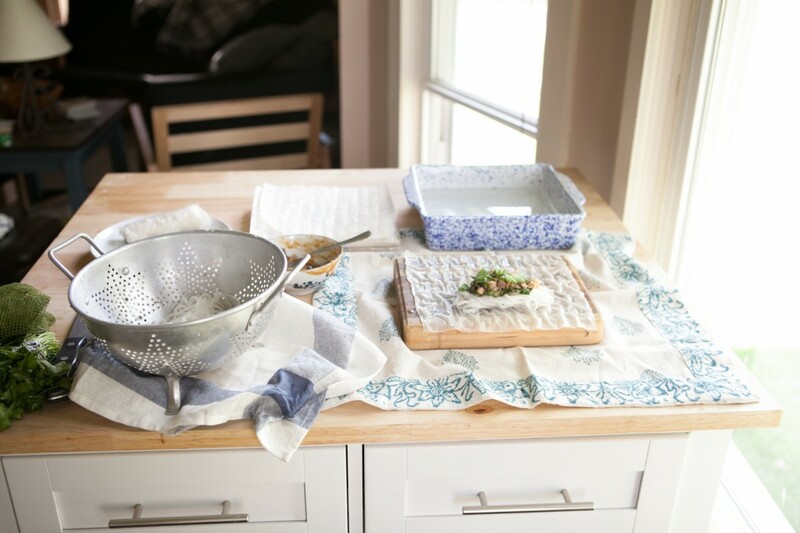 Set up your spring roll rolling station with the hot water water, swiss chard mixture, rice noodles, and a place to roll/cut each spring roll. 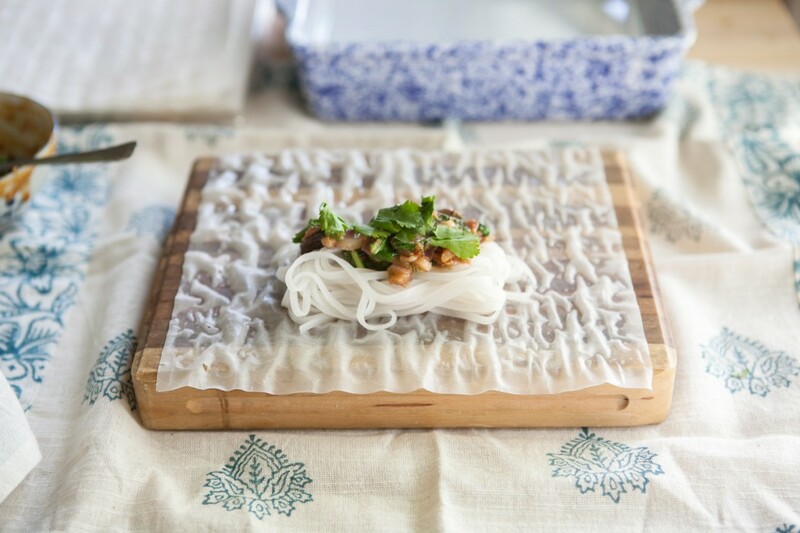 Soak the rice paper for 10-15 seconds (you don’t want it too soft when taking it out of the water but pliable enough to roll.) 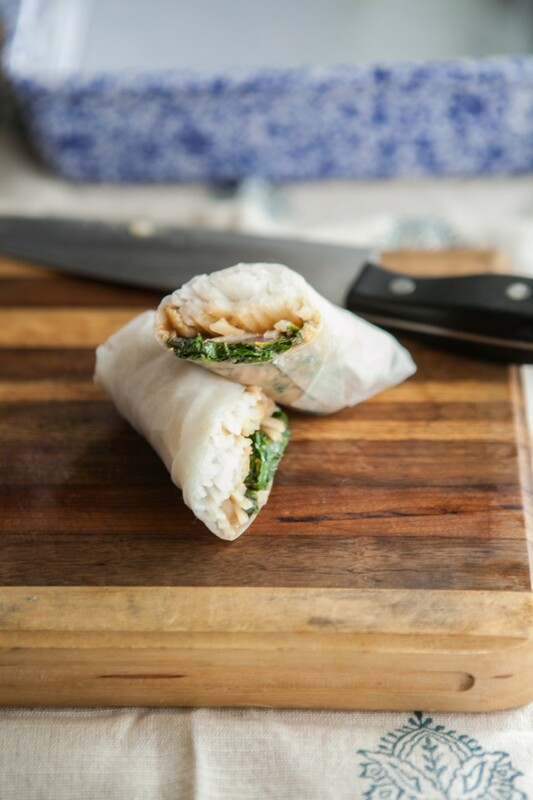 Place rice paper on a cutting board and load with rice noodles, swiss chard mixture, sprinkle of cilantro, and a squeeze of lime juice. Roll, tuck, and fold in sides as you go. Continue with remaining ingredients. Once done slice in half and serve. These are great on their own or with a small bowl of soy sauce. Another great spring roll recipe! Yum! Quick yet elegant and I’m sure delicious. Thank you for sharing. I’m glad I visited your blog this morning. I hope you have a wonderful Wednesday! I’m craving this right now! 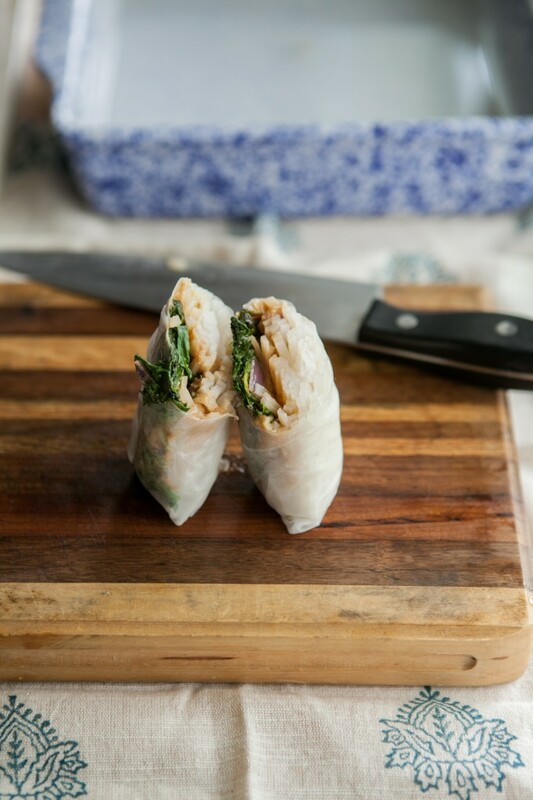 Rice paper summer rolls, hooray! I love how easy these are to make at home, but I always struggle to figure out what to dip them in. Soy sauce is great–but do you have any other suggestions? That’s what I love about these- because the peanut sauce is already in the roll, I found they really didn’t need a dip! Chard is one of my favorite veggies and words can’t describe my love for peanut sauce. Your spring rolls look healthy and soooo yummy! I have never made spring rolls, but I’d love to start with your recipe! This combo is making my mouth water! Swiss chard and peanut sauce = brilliant. My mouth is watering – looks like weekend picnic food to me! Thanks! I absolutely love spring rolls and the flavor combination here sounds delicious! Beautiful! These look so fresh and delicious! Looks great as a mid-day snack or lunch. Thanks for sharing! I just made this for lunch and everybody absolutely loved it! Thanks so much!!!! your photos are absolutely devine! Breath-taking. When is your first cook book coming out 🙂 I’d buy it! I love pretty much anything i can dip into a peanut sauce. I’ve recently been introduced to Swiss chard so I’ll have to give these a try!